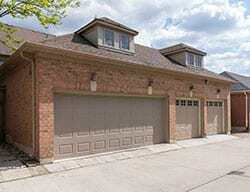 Garage door repair in Cedar Park needs to be done well in order to achieve quality results. The good news is at Action Garage Door, we are your Cedar Park garage door service specialists. When you want the best in garage door repair and other services, you have to turn to the best. For years, we have been providing residents all over Cedar Park with the garage door service they need to have their garages in the best working order. As a garage door repair company that is committed to customer satisfaction, nobody beats Action Garage Door. Our family-owned business has been satisfying customers for 30 years and we are waiting to help you find the services you need for your garage door in Cedar Park. No two Cedar Park home or business owners are alike, and our garage door repair company understands that no two will want the exact same garage doors and set up. 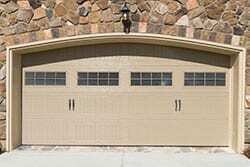 At Action Garage Door, we offer a variety of garage doors for installation in Cedar Park homes and offices. Some of our options include Carriage House, Olympus, Classica, Stratford/Heritage, and Amarr. Fast, efficient reasonably priced, very satisfied with the service. Would use again. Tyler did a great job fixing my garage door and was very helpful answering all of my questions. Tyler and Ralph arrived right on time. Both men were friendly and thorough with explaining what will be repaired. The spring was broken but they identified other parts in need or repair. I did NOT feel unsold at all. The quote was reasonable and the work appeared to be done well. The garage sounds and looks way better than before they arrived. Thank you Tyler and Ralph. Punctual for appt, excellent diagnostician, equipment repair parts in truck, fast worker, reasonable cost! Very happy& satisfied customer! Thanks! Prompt and fast service. Good price and went the extra step. Why Choose Action Garage Door in Cedar Park? There are a lot of moving parts in a garage door, from the pins to the cables to the wires that lead to the safety sensors. And, invariably, some of those moving parts fail or malfunction, usually at the worst times. When you have garage door problems, the Action Garage Door team is the one to call. Our professional service technicians, as well as our sales consultants, have only one goal: To satisfy our customers and assure that we exceed expectations in every way. When the inevitable occurs – even if it’s an emergency, we have the staff and the expertise to assist you. With more than 30 years of experience serving the needs of customers throughout Texas, we are well-equipped to make minor adjustments to your garage door’s operating system or to replace the door if necessary. We respond quickly and we provide onsite service estimates based on our professional assessments of work that is needed in a specific situation. If you are interested in seeing the variety of new products available, we will be happy to discuss the relative merits of wood doors or steel garage doors, standard and custom sizes, and garage doors for specialized needs, including golf carts and recreational vehicles. We value our customers and we serve clients in most of Cedar Park surrounding communities. Keep Action Garage Door Service in mind – we’ll be available when we’re needed. 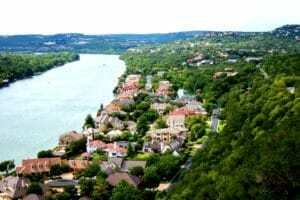 A city of approximately 70,000 people located about 16 miles northwest of Austin, Cedar Park is a major suburb of Austin, even though it is almost totally in Williamson County rather than Travis County. The H-E-B Center of Cedar Park is the home of two highly-rated professional minor league teams, the Austin Spurs of the NBA Development League and the Texas Stars, affiliated with the American Hockey League. 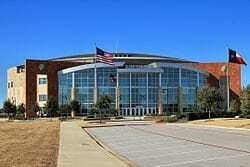 Both teams play at the center, which is also the site of concerts and other entertainment events. Sports play a major role in the city’s lifestyle, with a 15,000 square-foot public skate park that features a street course as well as two different size bowls. School sports, too, are important to the community. The Cedar Park High School Timberwolves were state football champions in 2012 and again in 2015. The school set another record with that second championship, becoming the only high school in history to win UIL titles in both football and band in the same year! The school is one of two high schools in Leander Independent School District, where most of Cedar Park’s students are enrolled. However, some students in the southern and eastern portions of the city attend school in the Round Rock district. Early in its history, Cedar Park was known as Running Brushy, after a creek of the same name. When the railroad came to town, the name was changed briefly to Bruggerhoff, and then finally to Cedar Park – a relief for residents of the time. The name stuck, and the community installed a “strolling park” for the use of Austin residents who took day trips on the train to get away from the city. Today, one of the city’s beloved traditions is a 400-year-old Heritage Live Oak that is festooned with 30,000 white lights to cast its glow over Cedar Park each December. The tree, which stands in the median on Quest Blvd., is 57 feet tall and its branches spread 80 feet. Cedar Park is a popular, growing suburb, named the fourth fastest-growing in the nation in 2013 by the U.S. Census Bureau. There are existing older homes on treed lots and acreage, but most of the housing is newer, with modern floor plans, finishes, and fixtures. In a recent six-month period, nearly 1500 homes were sold at an average price of $312,700, and average days on market of only 38. There is a wide variety of home styles available at a range of prices, with planned neighborhoods offering amenities such a community pools and splash pads, event centers, green space, playgrounds, walking paths and bike trails. Land is also available for custom home building in Cedar Park and nearby areas. Cedar Park is prized for its Hill country vistas, proximity to Austin, and affordable real estate. The community is served by modern toll roads that lead to all parts of Austin and other Texas destinations, and residents also have easy access to Capital MetroRail for painless rides to the heart of downtown, with Lakeline station only four miles away. One of the delights of living in Cedar Park is that the city is close enough for comfort, but coming home to Cedar Hill is like going on vacation – only better. To get started with your garage door repair, installation, or replacement, contact Action Garage Door in Cedar Park today and let’s talk about the options available from the garage door repair company that has been caring for customers since 1984.